SEOUL, South Korea — North Korean leader Kim Jong Un is making a four-day trip to China, the North’s state media reported Tuesday, in what’s likely an effort by Kim to coordinate with his only major ally ahead of a summit with U.S. President Donald Trump that could happen early this year. China’s official Xinhua News Agency issued a nearly identical report, while Beijing’s North Railway Station was cocooned in security, with dozens of police and paramilitary troops patrolling outside. What appeared to be official cars were seen driving past the security cordon into the station, although journalists on the scene were too far away to identify them clearly. Kim is expected to stay at the highly secure Diaoyutai State Guest House in the capital’s west, with meetings held at the Great Hall of the People, the hulking seat of the legislature that sits next to Tiananmen Square. The trip marked a further break with past practice in that it was announced in advance of Kim’s arrival, a possible sign of growing confidence on the part of North Korea and its most important ally, China. After years of cool relations following Kim’s assumption of power 2011, ties have improved remarkably over the past year as Xi seeks to maintain his influence in the region. 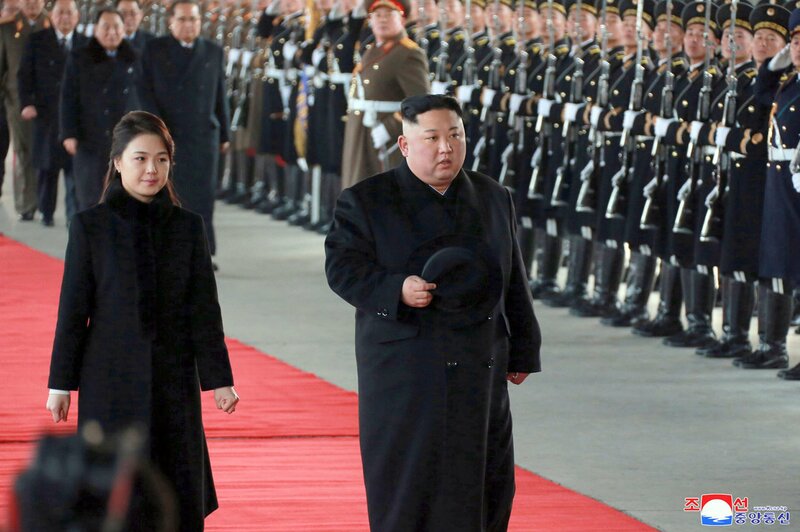 Possibly fearing the economic effect of crushing outside sanctions imposed because of his weapons’ tests, Kim abruptly turned to diplomacy with Seoul and Washington last year. Three times he visited China, which is North Korea’s most important trading partner and a key buffer against pressure from Washington.